The Ministry of Agriculture and the German Agency for International Cooperation (GIZ) launched the second phase training of the Capacity Development and Dissemination programme for Climate–Smart Agriculture (CSA). The objective of the CSA Dissemination Programme is to disperse knowledge on CSA by training the extension and technical officers on sustainable agricultural practices and by supporting the transfer of that knowledge to the farmers and other stakeholders. The first phase was a ‘Training of Trainers workshop’, based on the “Modules for Sustainable Agriculture” a tool developed by GIZ. The training was conducted in September 2015 in collaboration with the Inter–American Institute for Cooperation on Agriculture (IICA). 25 agricultural officers were trained on how to use the tool in their advisory work to help farmers adapt to climate change and also develop their ability as trainers. The second phase which began in June 2016, saw 5 of the 25 trainers from the first training facilitate a workshop in which 20 new agricultural technical officers participated. 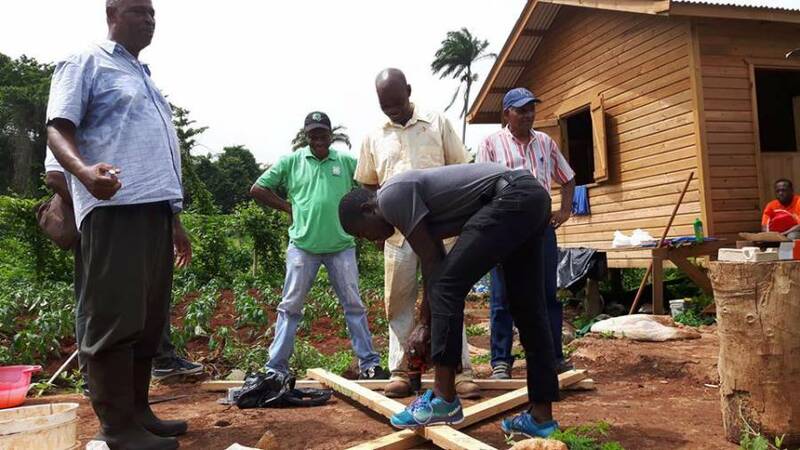 The training was a combination of classroom sessions at the TAMCC Mirabeau Farm School, field implementation exercises at the Mirabeau Propagation Station and two private farms. The field implementation exercises included soil and water management practices such as composting, mulching, drainage, terracing, intercropping and rainwater harvesting. The implementation of the CSA practices at the Mirabeau Propagation Station is the first step in establishing a CSA demonstration and learning plot for usage by both agriculture officers and farmers. Another training will be facilitated in Carriacou for the agricultural technical officers and include the implementation of more CSA practices, convene monthly meetings, share experiences and monitor on–farm implementation results. The CSA-CapDiP programme was developed under the Integrated Climate Change Adaptation Strategies (ICCAS) pilot programme. The ICCAS programme, is funded by the German Federal Ministry for the Environment, Nature Conservation, Building and Nuclear Safety (BMUB) within its International Climate Initiative (IKI), it is implemented by the Ministry of Agriculture, Lands, Forestry, Fisheries and Environment (MALFFE), the United Nations Development Programme (UNDP) and GIZ.